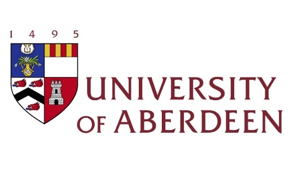 The University of Aberdeen, in collaboration with the Horizon 2020 Marie Skłodowska-Curie programme, is delighted to offer 6 Early Stage Researcher (PhD) positions, lasting 3 years starting in September 2019, for ground-breaking research on how political concepts, such as nation, citizenship, civil society and rule of law, are used in the world. ESRs will complete a PhD with an inter-disciplinary supervisory team and benefit from a world-class training programme, including placements with one or more of our 23 international partners. They will also actively participate in the activities of the Centre for Citizenship, Civil Society and the Rule of Law (CISRUL). We welcome applicants from across the social sciences and humanities, including anthropology, cultural and literary studies, education, history, legal theory and socio-legal studies, philosophy, politics, religious studies, sociology, and theology. ESRs will be employed by the University on a salary of £26,489.40 per annum, and will be eligible for a range of additional benefits including ample travel and research funding. It has become commonplace in Europe to presume that ‘religious communities’ represent a problem, or even a threat, to the values and norms of secular liberal democracies. In the UK, Richard Dawkins has long championed the view that religion is inherently violent and thus hostile to pluralistic democracy; in Germany, a similar warning is articulated in the work of theorists like Herbert Schädelbach. Such critics argue that, because adherents assert that their specific theological tradition is the one description of ultimate reality, all other traditions are not only considered false, but are also perceived as threatening betrayals of the truth. Numerous controversies have heightened the assumption that religion is antagonistic to pluralist democracies, including the reaction to the cartoons depicting Muhammad in Denmark in 2005, broad-ranging disputes over laicité in France, and the ongoing threat of terrorist attacks by Islamic extremists. Such events have once again brought the question of religious minorities to the forefront of public debate. PhDs are invited to explore how religious citizens in pluralistic democracies conceive of and engage with the society in which they live. For example, they may consider how religious pluralism is promoted through law and in constitutions, or in education. These are indicative topics – applicants are free to propose their own projects on how political concepts are used in the world.